Temarry Recycling was the first authorized company in the United States to be authorized by the Environmental Protection Agency to export certain wastes to Mexico. Recovery of water from hazardous wastes including acids, bases, latex, coolants and oily water. Today, Temarry serves over 3000 waste generators in the Western United States and receives waste from all geographical areas of Mexico. Temarry exports recovered solvents to USA, Brazil, Malaysia, and Pakistan. 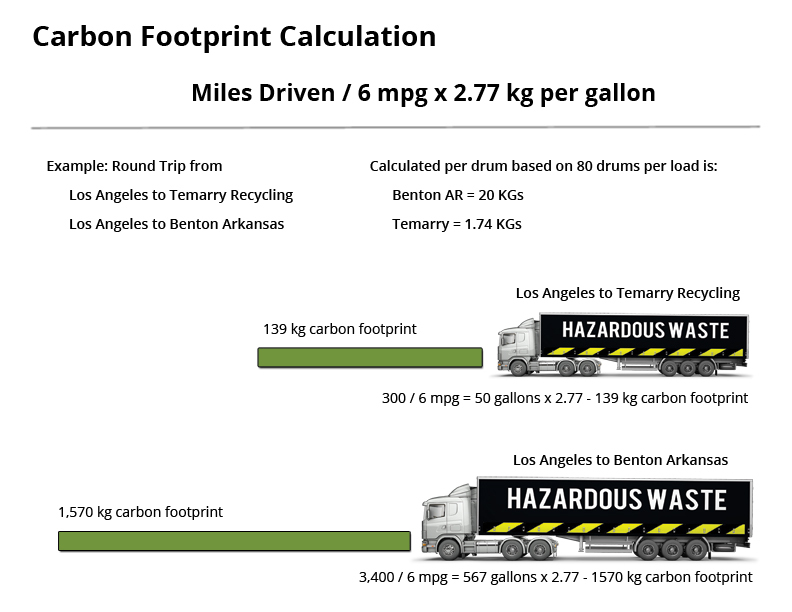 By ensuring your waste is transported to Temarry, you can effectively reduce the amount of your carbon footprint. Since we are one of only a few facilities that can recycle flammable liquids for resue, making sure your waste ends up here is not only more cost effective, but dramatically reduces the amount of carbon footprint left behind. How large is your businesses carbon footprint? There is a better option to reduce your carbon footprint. Matt is the President and CEO of Temarry Recycling, Inc.
With over 19 years of experience as Owner-Operator of a Recycling Facility, Matt inherited his experience from his Grandfather who owned one of the few solvent recycling operations in the Los Angeles area for over 50 years prior to RCRA publication in 1976. In the early 90’s Matt’s Grandfather decided to retire and in continuing with the family tradition, Matt decided to open the facility in the border town of Tecate, Mexico to serve a growing Maquiladora Industry (US manufacturing operations located on the Mexican side of border towns) as well the Southern California market. Teresa is V.P. of Temarry Recycling, Inc. and CEO of Recicladora Temarry de Mexico, our Mexican TSD Facility located in Tecate, Mexico. She also serves as President of the Tecate Sector of the National Chamber of Commerce (CANACINTRA) and is an active member of the political community in Baja California Mexico. With her leadership, Recicladora Temarry has been positioned as the leading recycling company in the Northwestern Area of Mexico. With over 25 years of experience in the Hazardous Waste Industry including incineration, distillation, energy recovery and service distribution in the U.S. and Mexico, Larry is responsible for the development and implementation of the Import/Export Waste Recycling and Energy Recovery Program in the Western United States. His regulatory and technical background support all of our Compliance Programs that assure peace of mind to our customers and maintain our impeccable record of Zero Violations in all the regulatory fields of waste exportation.